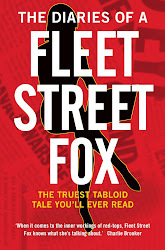 fleet street fox: All aboard. ON the one hand, we have responsibility, (noun): the state or fact of being answerable or accountable for something within your power, control, or management. 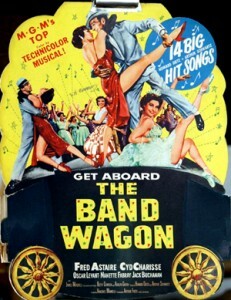 And on the other, we have a bandwagon, (noun): a transport, usually large and ornately decorated, for carrying a musical band, as in a circus parade or to a political rally; a party, cause, movement, that by its mass appeal or strength attracts many followers. Amazingly, in the teeth of an international scandal people happily dodge one and jump on the other. Who'da thunk it? So Dishface won't turn up to the hacking debate in the House of Commons, even though he employed a man now up to his neck in trouble. The chief executive of a company that's had £4bn wiped off its shares and sacked 500 people sees no reason for concern. And the police officers who plainly did not investigate the whole mess properly blame the criminals for not co-operating. Meanwhile a former Prime Minister throws around accusations of stealing medical files of his sick son in what later turns out to be some kind of vengeful fantasy, the House of Commons which has perhaps the greatest concentration of fraudsters in Britain loudly accuses others of misbehaving, and Anne Diamond has suddenly claimed, 20 years after the fact, that condolence bouquets from journalists given after the tragic cot death of her son may have contained listening devices. FYI, Anne, in 1991 any such devices would have needed a battery pack the size of a housebrick. Added to which, no-one needs to bug you when you're so keen to talk. And for Keith Vaz, one of the oiliest politicians ever to crawl into Parliament, to start asking other people about abuse of power is mind-shatteringly ironic. While, quite plainly, there needs to be a clean-out of the Met, new rules that politicians might actually stick to and stronger, better powers for the Press Complaints Commission, we're now being confronted with a celebrity campaign whose ultimate aim is that we get a media which meets with the approval of Hugh Grant, Max Mosley and Steve Coogan. Presumably they'll demand every newspaper runs consumer campaigns on the hookers that give real value for money. As appalling as some aspects of the scandal are, there's not a lot of firm evidence yet and plenty of people throwing mud. The story's changing several times a day, everyone involved is going to need to take a long cold bath, and by the end of it things are going to look very different. I just hope someone, at some point, puts their hand up and admits responsibility for their own actions, like a real, proper grown-up. And that we don't all end up printing a version of Celebrity Razzle.